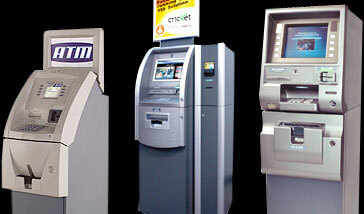 ACS ATM is proud to offer the quality product lines from Triton, Tranax and Nautilus for your ATM machine needs. We have an extensive line with many options from which to choose. ACS ATM is your one stop shop for all of your ATM parts, ATM repair and ATM service needs. No matter what your needs, no matter what your budget, ACS ATM has what you are looking for. Today’s consumers demand immediate access to funds with ease and without complication. ACS ATM provides you with optimal service no matter what your venue or needs are, whether it is a one day event, short term, or long term service. From outdoor festivals and conferences to established retail venues, ACS ATM allows you and your venue to provide for your customer while we provide for you. Forget worries about service, supplies or complicated contracts. ACS ATM works with you providing top quality service so you can keep you, and your customers, in business.